Wimbledon is one of the oldest, yet greatest, Tennis tournaments of the year. It first started back in 1877 which shows the age of this tournament. To win Wimbledon you have to be talented and fit beyond belief. The tactics, stamina and ability have to be of the highest class to walk away with the prize money of over £34 Million. 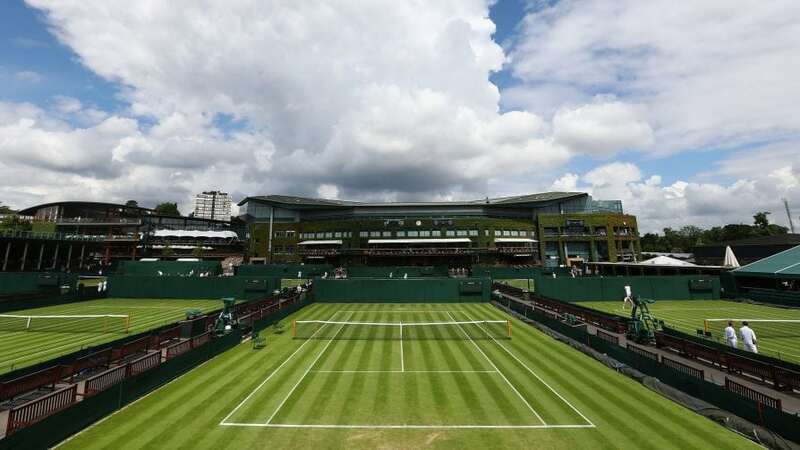 As Wimbledon is now underway, its time to look at all the best betting offers and promotions for the Men’s and Women’s Wimbledon singles and produce the finest betting tips to help you win a lucrative cash prize just like the winner of the Wimbledon tournament. It is fair to say that Roger Federer is the clear favourite to win Wimbledon 2018. This is no surprise as he is arguably the best Tennis player in the world. He is one of eight men to win a career Grand Slam and has won Wimbledon 8 times, so this is nothing new to him. Just behind him in the betting ranking is Novak Djokovic and Marin Cilic. Majority of bookies have labelled them both at around 6/1. Novak Djokovic, the Serbian international, has 3 Wimbledon titles so he also, as well as Federer, knows what it takes to in the tournament. Djokovic has downplayed his chances to the press, which could possibly put people off backing him. However never rule him out as it could be a tactical move in order to do all his talking on the court. Unless you are big tennis supporter, you may not have heard of Marin Cilic. He is a Croatian Tennis player born in 1988, currently ranked 3rd in the world which is the highest he has ever been ranked. Marin Cilic made it to the 2017 Wimbledon Final where he was defeated by the prestigious Roger Federer. Alexander Zverev is the unlikely contestant but contender for the Wimbledon 2018 trophy. He is of German nationality and was born only in 1997, making him the current youngest player in the ATP top 20. He has a family history of tennis expertise with his dad being a former professional and also his younger brother is to follow in his footsteps. Most bookies have Alexander Zverev at 18/1 which shows the unlikelihood of him winning the tournament, however sometimes it’s good to be optimistic and never rule him out. This year’s favourite for to win the Women’s Wimbledon 2018 trophy is Petra Kvitova. Bookies have her at around 5/1 odds to win it which is very good for Tennis bettors. Also, by signing up to the suggested sport bookmakers above, you can activate your welcome bonus which in some cases can be used to bet on Wimbledon, increasing your winnings. Kvitova is a Czech international with 25 career single titles. She is currently ranked 7th in the world and has won Wimbledon before so she is not short of experience. Serena Williams is the second favourite to win this competition, with odds of around 5/1 and 6/1. A lot of Tennis supporters will be big fans of Serena and hope she does well in Wimbledon, maybe even winning it. Serena has won the second most amount of single titles. She is extremely experienced, being ranked number 1 in the world back in 2002. Just behind Serena is Garbine Muguruza, a Spanish international ranked number 3 in the world. She is a young contestant in the competition, being born in 1993. She currently holds 2 Grand Slam Single Titles. Her highest world ranking was Rank 1 in the world and that was only last year when she won the Wimbledon tournament. Angelique Kerber is the list of Wimbledon champion contenders, she is ranked by most bookies at 12/1 for this tournament. Angelique’s highest world ranking was back in 2016 when she was ranked 1 in the world. Angelique Kerber is a German international who has never won Wimbledon before, has only ever made it to the Semi-Final. Maybe this year is her time to shine and be crowned Wimbledon Champion. Last but not least, the unlikely winner but a possible contender to win the Women’s 2018 Wimbledon is the Romanian professional, Simona Halep. Simona was born in 1991 and has won 1 Grand Slam Singles title. She also is yet to win a Wimbledon title but has won the 2018 French Open tournament, leaving her in good prediction to win the competition.